Can you imagine how would it feel when your most precious wedding day turned into a disaster? 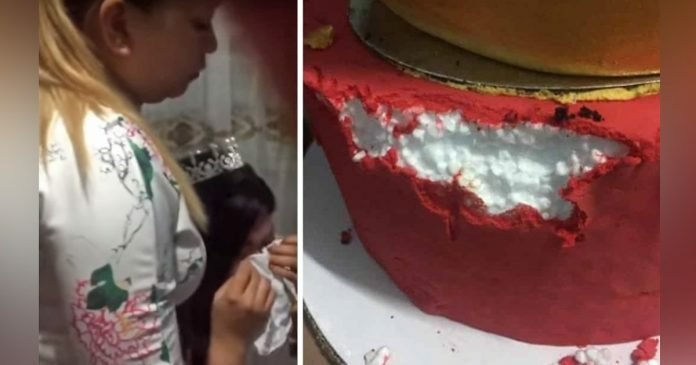 This couple from the Philippines definitely understand exactly how devastated it was when the bride breaks down in tears after discovering her wedding cake was made from polystyrene foam. Choosing a good wedding planner or amazing caterer is one of the most important things in a wedding. 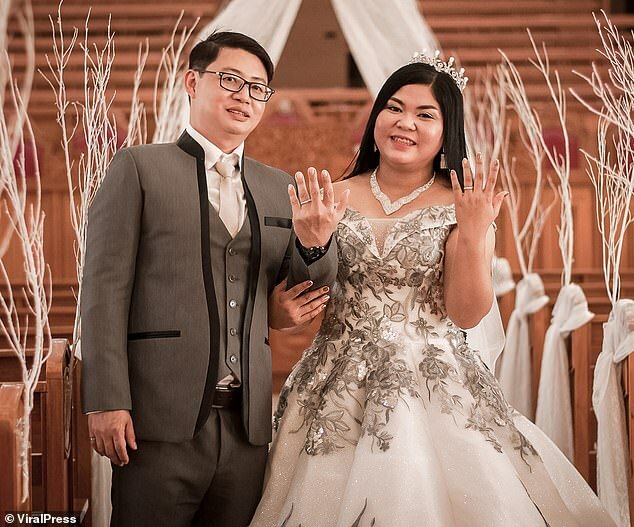 Unfortunately, Shine Tamayo, 26, and her husband Jhon Chen, 40, decided on the wrong one. 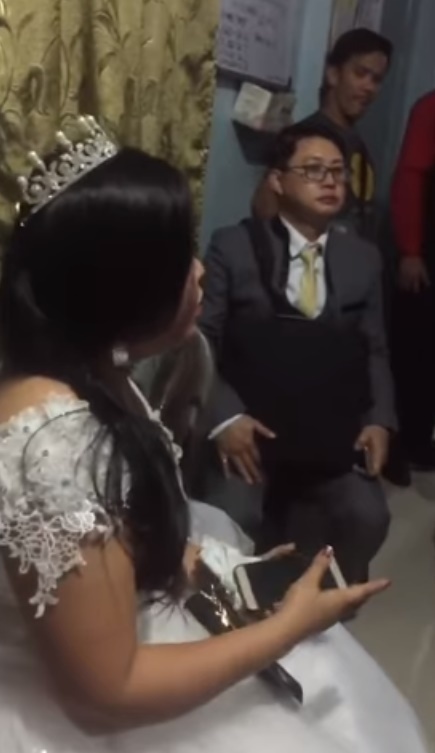 The couple paid a wedding planner 140,000 pesos (USD 2,667) to supply for all the food and decorations for their wedding in Pasig City hoping that the ceremony will run smoothly and most importantly their family, friends and guests won’t go hungry. Tamayo and Chen weren’t expecting anything as their ceremony at the church went well. Looking forward to the fairytale event of their dreams for the reception ceremony, the couple was beyond shocked when they discovered that there was no food for their guests. Even worse, their two-tiered dessert was also a fraud. 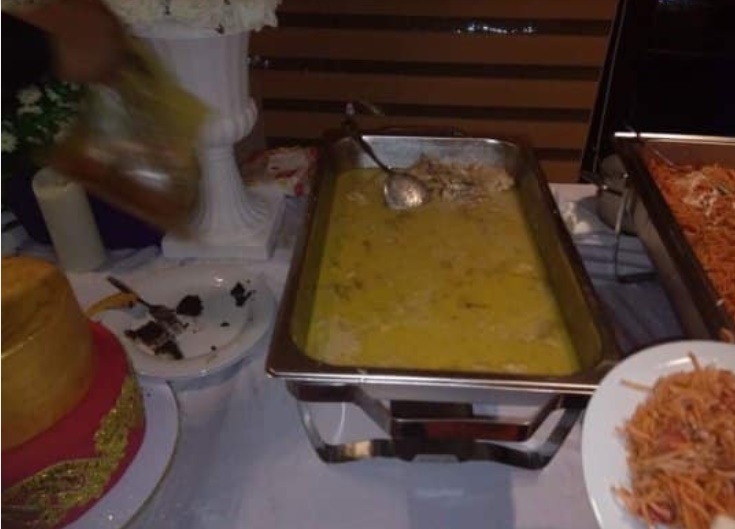 Refused to let the waiting guests go hungry, the newlyweds had to carry trays of greasy takeaway from a nearby eatery to feed their famished guests. 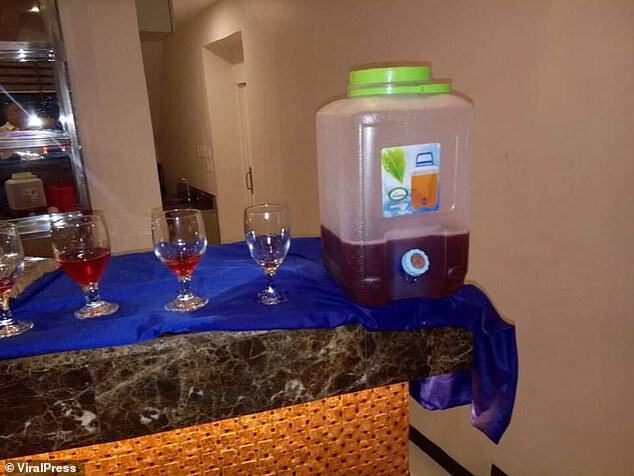 Even when they were so humiliated, the couple had no choice to serve street foods to their guests after the caterer failed to show up. The newlyweds had to carry trays of greasy takeaway from a nearby eatery. 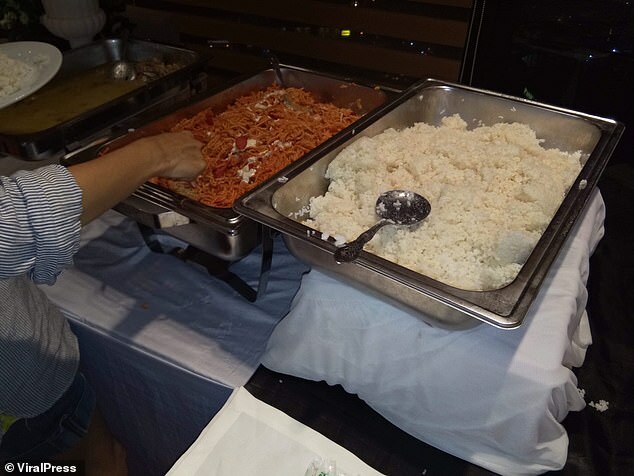 The food they had to serve the hungry guests. The mortifying situations didn’t stop there when Tamayo and Chen figured out their wedding cake was just polystyrene foam covered in icing as they’re trying to cut it. 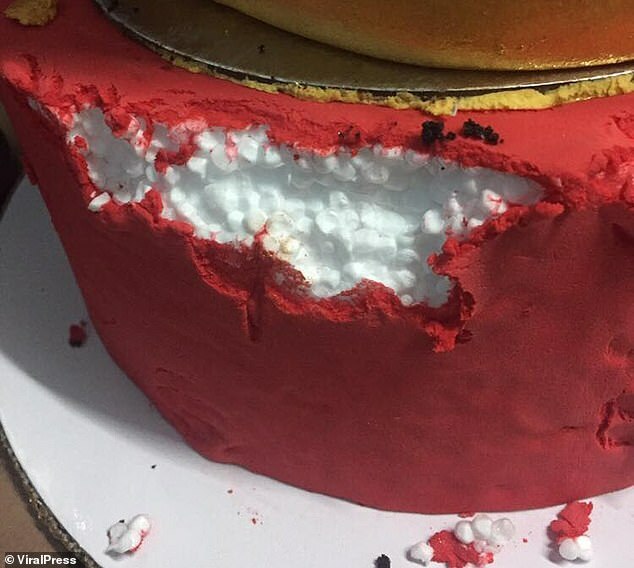 The polystyrene foam filling was revealed as the blade sliced through the icing. The second layer of the cake was just polystyrene foam covered in icing. 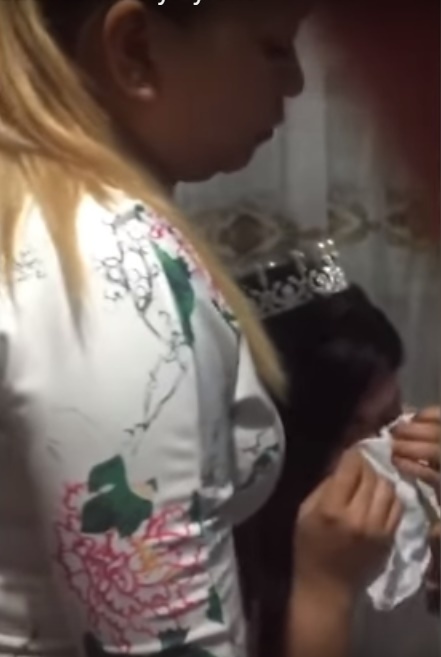 Humiliated by the nightmare she never imagined would’ve happened, the humiliated bride covered her face and broke down to tears in front of her families and friends at the ceremony. 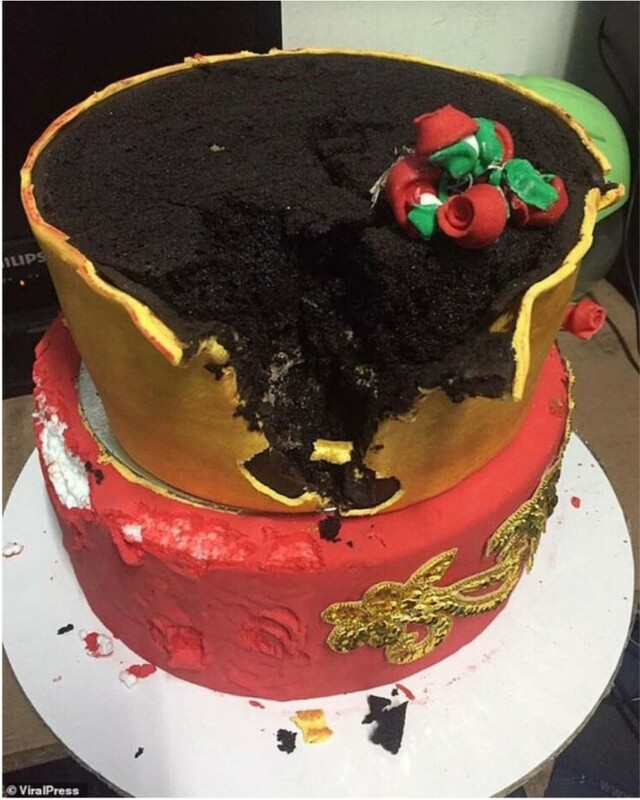 As she was looking distraught after all that happened, the guests took her to the local police station where the officers inspected the wedding cake. 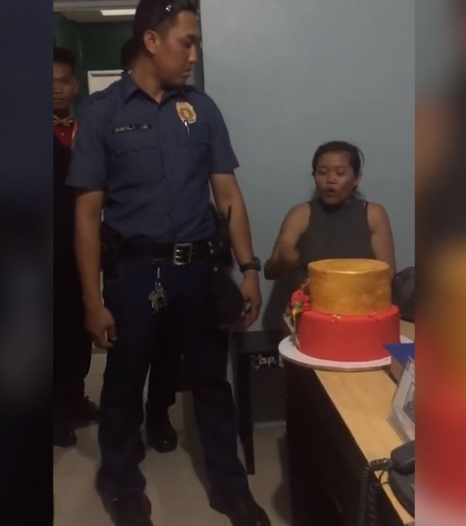 The Pasig City Police Station officers later examined the wedding cake, pictures of the food and the payments made by the couple for the wedding coordinator named Krissa Cananea—the one who had arranged the catering. The bride and groom at the police station. 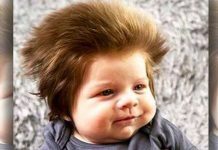 The officers confirmed that the wedding planner had been arrested on suspicion of Estafa—a form of fraud and later released. Hopefully everything will be okay!